Astronomers expect that stars like the Sun will blow off much of their atmospheres into space near the ends of their lives. But new observations of a huge star cluster made using ESO’s Very Large Telescope have shown — against all expectations — that a majority of the stars studied simply did not get to this stage in their lives at all. The international team found that the amount of sodium in the stars was a very strong predictor of how they ended their lives. The way in which stars evolve and end their lives was for many years considered to be well understood. Detailed computer models predicted that stars of a similar mass to the Sun would have a period towards the ends of their lives — called the asymptotic giant branch, or AGB  — when they undergo a final burst of nuclear burning and puff off a lot of their mass in the form of gas and dust. This expelled material  goes on to form the next generations of stars and this cycle of mass loss and rebirth is vital to explain the evolving chemistry of the Universe. This process is also what provides the material required for the formation of planets — and indeed even the ingredients for organic life. 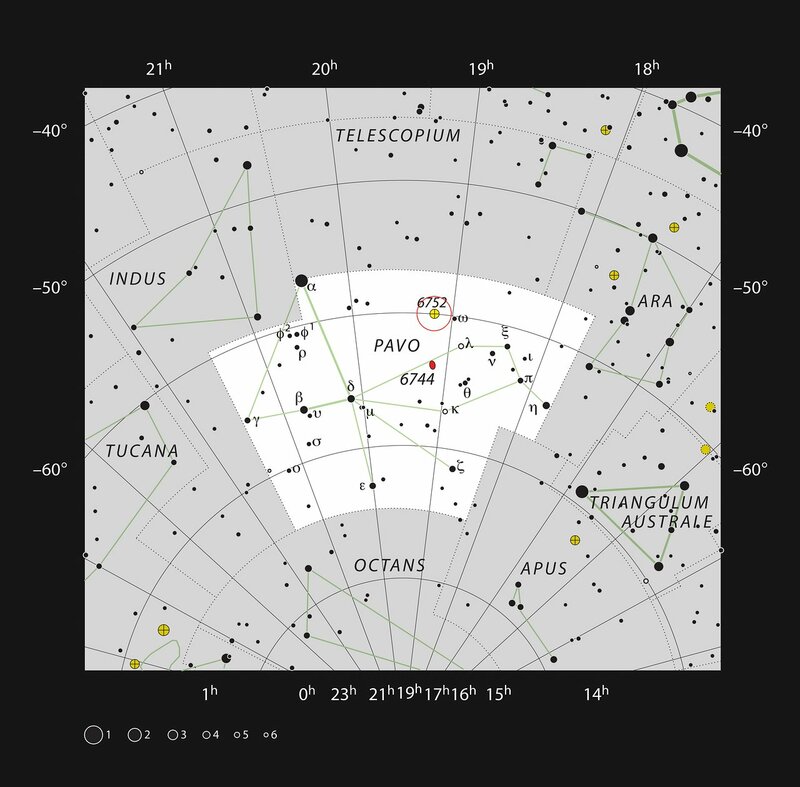 Campbell and his team used ESO’s Very Large Telescope (VLT) to very carefully study the light coming from stars in the globular star cluster NGC 6752 in the southern constellation of Pavo (The Peacock). This vast ball of ancient stars contains both a first generation of stars and a second that formed somewhat later . The two generations can be distinguished by the amount of sodium they contain — something that the very high-quality VLT data can be used to measure. “FLAMES, the multi-object high-resolution spectrograph on the VLT, was the only instrument that could allow us to get really high-quality data for 130 stars at a time. And it allowed us to observe a large part of the globular cluster in one go,” adds Campbell. The results were a surprise — all of the AGB stars in the study were first generation stars with low levels of sodium and none of the higher-sodium second generation stars had become AGB stars at all. 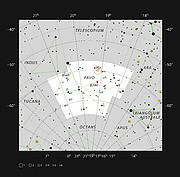 As many as 70% of the stars were not undergoing the final nuclear burning and mass-loss phase  . “It seems stars need to have a low-sodium “diet” to reach the AGB phase in their old age. This observation is important for several reasons. 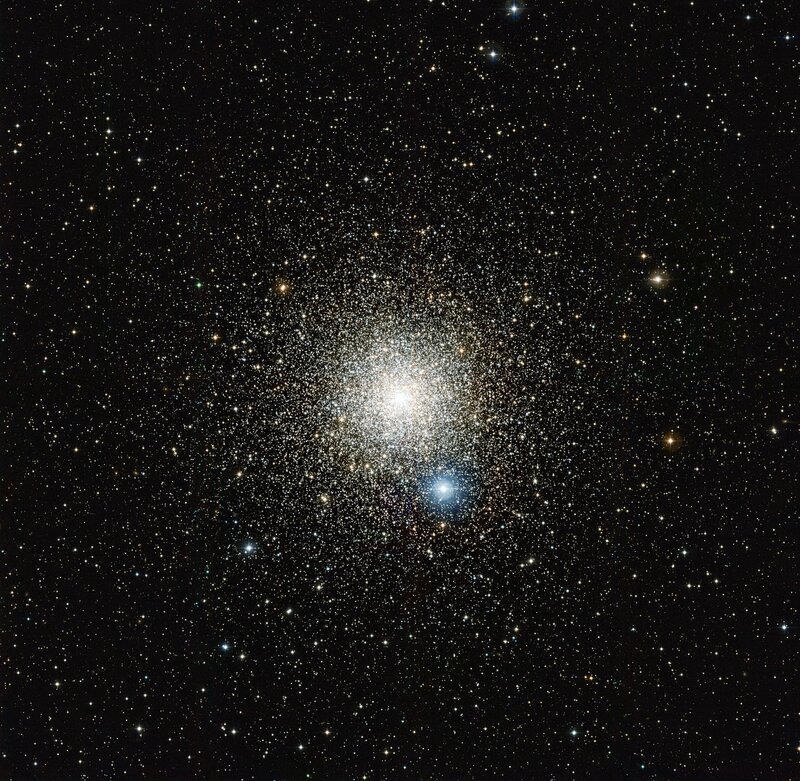 These stars are the brightest stars in globular clusters — so there will be 70% fewer of the brightest stars than theory predicts. It also means our computer models of stars are incomplete and must be fixed!” concludes Campbell. The team expects that similar results will be found for other star clusters and further observations are planned. AGB stars get their odd name because of their position on the Hertzsprung Russell diagram, a plot of the brightnesses of stars against their colours. For a short period of time this ejected material is lit up by the strong ultraviolet radiation from the star and creates a planetary nebula (see for instance eso1317). Although the stars in a globular cluster all formed at about the same time, it is now well established that these systems are not as simple as they once thought to be. They usually contain two or more populations of stars with different amounts of light chemical elements such as carbon, nitrogen and — crucially for this new study — sodium. It is thought that stars which skip the AGB phase will evolve directly into helium white dwarf stars and gradually cool down over many billions of years. It is not thought that the sodium itself is the cause of the different behaviour, but must be strongly linked to the underlying cause — which remains mysterious. 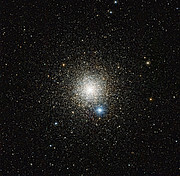 This research was presented in a paper entitled “Sodium content as a predictor of the advanced evolution of globular cluster stars” by Simon Campbell et al., to appear online in the journal Nature on 29 May 2013. The team is composed of Simon W. Campbell (Monash University, Melbourne, Australia), Valentina D’Orazi (Macquarie University, Sydney, Australia; Monash University), David Yong (Australian National University, Canberra, Australia [ANU]), Thomas N. Constantino (Monash University), John C. Lattanzio (Monash University), Richard J. Stancliffe (ANU; Universität Bonn, Germany), George C. Angelou (Monash University), Elizabeth C. Wylie-de Boer (ANU), Frank Grundahl (Aarhus University, Denmark).